The sign clearly points to the right. The paved bike path continues straight ahead (and turns left in about 200 feet). That little green triangle in the upper left says “North.” Such a shame that the arrow is pointing to the south, so you have to completely reverse the map in your mind to use it. Of all the street names listed on the map, none are for streets within viewing distance. I can see 4 street signs from the sign, and none of them are represented ON the sign. In short, I have no idea what this map is trying to show me, and even if I did, it’s unlikely I’d be able to mentally rotate it with no mistakes. This is the second municipal sign I’ve seen where the direction you are looking when you read the sign is 180 degrees opposite of what the map displays. Electric shopping carts are common in large grocery stores. Essential for users with mobility impairments, they are also helpful for pregnant women, elderly shoppers, and other who have trouble walking long distances. A few months ago, my grandfather overturned such a cart in a parking lot and broke his hip. Interested in what might have caused the accident, I examined a similar cart at my local store. 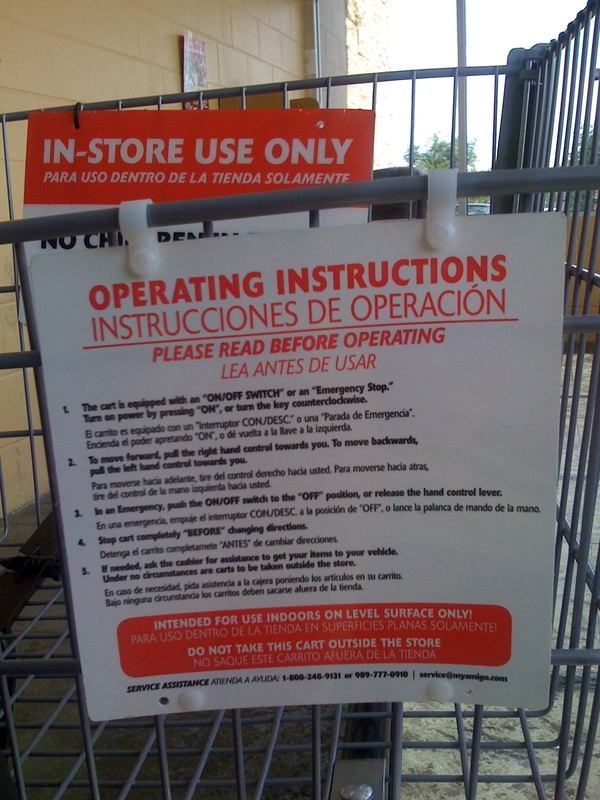 While the cart appeared stable, red-and-white signs affixed to the inside and outside of the basket read, in large letters, “IN-STORE USE ONLY.” Two others warned, “INTENDED FOR USE INDOORS ON LEVEL SURFACES ONLY!” and “DO NOT TAKE THIS CART OUTSIDE THE STORE.” An instruction manual I found online had similar statements in several places. Clearly the manufacturer had anticipated that people would use the carts outside and thought this behavior might be hazardous. But did the store share this concern? Since the cashier loaded the bags into his cart following the purchase, it appears that, despite the warning, the store expected him to drive the cart to the parking lot. The signs and repeated warning statements in the manual suggest a mismatch between the design of the product and the expected behavior of users. So how should the problem be addressed? If the carts are truly not stable outdoors, stores should not allow them to be driven into the parking lot. Instead, employees should carry out groceries for all customers who use a motorized cart. 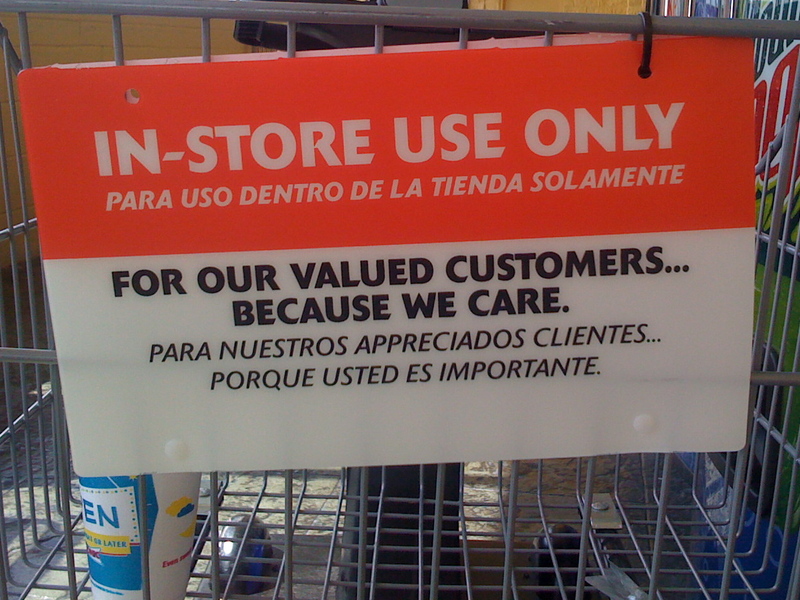 Offering the service is not enough; some customers, not wanting to be a bother, will refuse assistance if asked. Instead, when the cashier begins checking out a customer with an electric cart, she should immediately summon a worker to load the groceries into a push cart and take the groceries to the customer’s vehicle. Manufacturers should assume that customers will take electric carts outdoors and design them accordingly. Motorized scooters intended for outdoor use are widely available. If they have not already done so, shopping cart manufacturers should implement similar stability features. 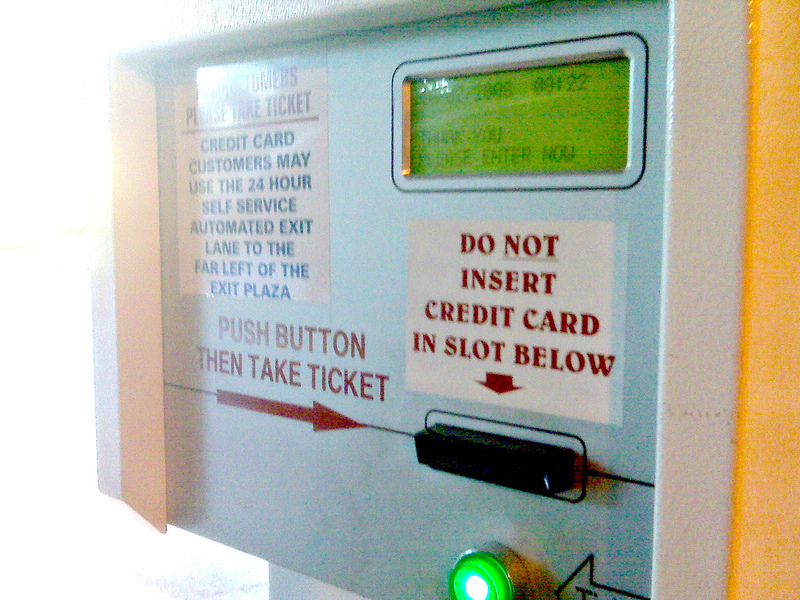 As human factors engineers have said for years, a warning is no substitute for good design. 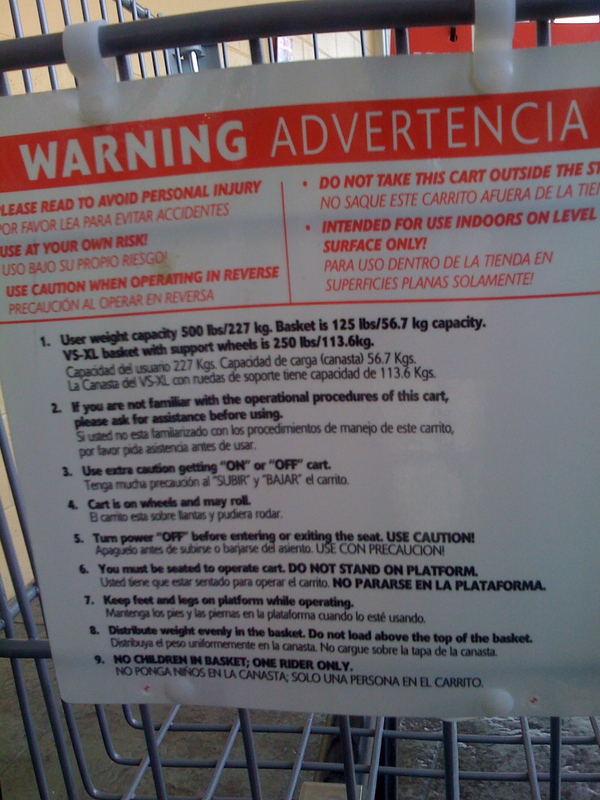 Good warnings tend to have a “why” that informs the user about the hazard when that hazard is not immediately obvious. If you though the reason to keep the cart indoors was because you might be hit by a car, your decision to take the cart outdoors could be different than if you knew the cart were unstable. Kim Wolfinbarger is the recruitment coordinator and an adjunct instructor for the School of Industrial Engineering, University of Oklahoma. Her research interests include usability, product design, industrial ergonomics and design for special populations. Reader Joe C. sent in this unusual warning on a door. It was on the entry door to one of the screens at a local cinema. 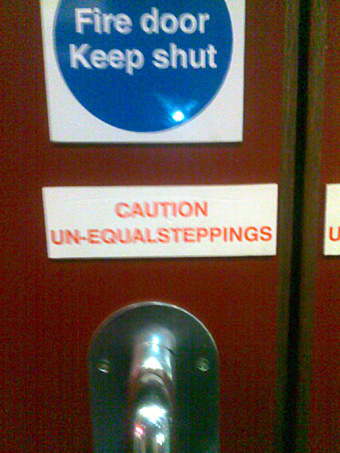 The un-equalsteppings just turned out to be a slope! Not sure why they couldn’t of just told me it was a slope. Found this sign at a rock climbing gym, then watched three groups of people do the opposite of what the sign requests, despite reading it. What’s the lowest unit price? 25 cents per ounce vs. 40 cents per ounce? Is list too long to read in 3 seconds? If yes, pick up next cheapest item for comparison. One of the things I’m most impressed with is the ONQI’s use of the entire scale. Unlike choosing wine by points (where nearly every advertised bottle is above 88 points on a 100 scale), on the ONQI soda gets a 1 while oranges get 100. Now we know that although pretzels aren’t bad for you… they certainly aren’t good for you with a rating of eleven. Eleven is a lot closer to Coca-cola than it is to oranges. The second thing I’m impressed with is their attempt at transparency. Their conference presentations are available online. However, due to patent, the actual algorithm used is not available. We are asked to trust that experts have tested it and found it reliable. Hopefully this will change as soon as the patent expires and it may be examined by numerous independent investigators. One thing it does not do (that the food pyramid has been trying to do for 50 years) is recommend a balanced diet. Oranges and strawberries may score 100s, but a pure diet of those won’t do much but prevent rickets. However, I like their concept of attacking the nutrition problem at a food-by-food level. If I have my meal basically planned, I can use the scale to decide between individual options. What about products that don’t score well? Aren’t you at risk of alienating some brands? The ONQI was developed based on sound science, independent of any food company or commodity organization bias. Since the ONQI can be applied to all foods, beverages, recipes and meals, it levels the playing field, and provides consumers with a universal tool to measure any food they wish to purchase. It can also provide a benchmark for product development and reformulation. The failed food pyramid is a good example of how difficult it is to create a nationwide understanding of a complex topic. The ONQI does the work for the consumer; work we’re clearly not interested in doing ourselves. I’m going to be watching closely to see how the ONQI pans out in studies of purchasing behavior changes. 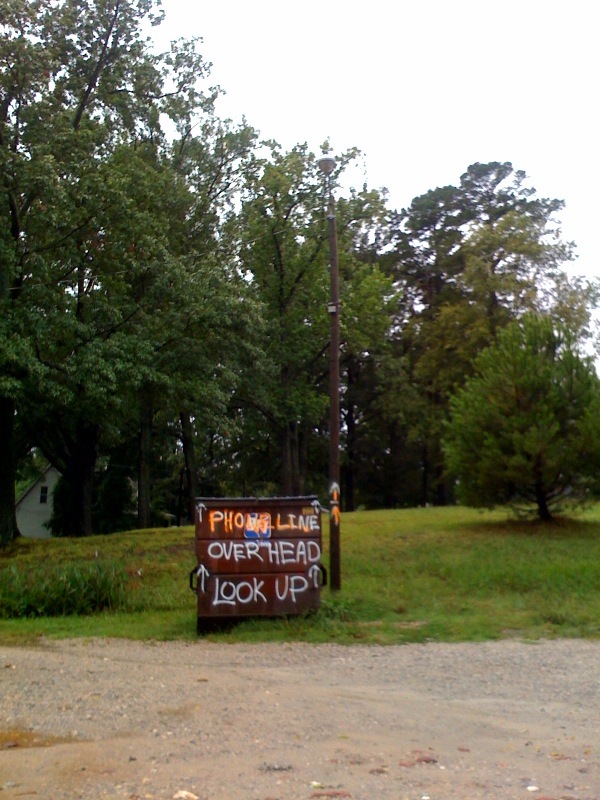 Following signs to the Raleigh SPCA, we took a wrong turn. From the looks of things, we were not the first to do so. 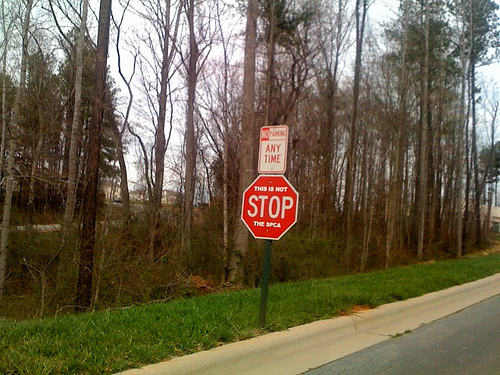 Of course, you only see these signs once you are on the wrong property. 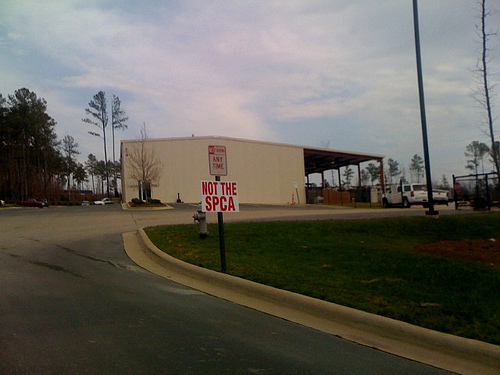 They might have avoided all troubles by putting a sign along the way that pointed to the SPCA.